Most travelers begin and end their trip to Japan with Tokyo, a massive city that should never be underestimated. 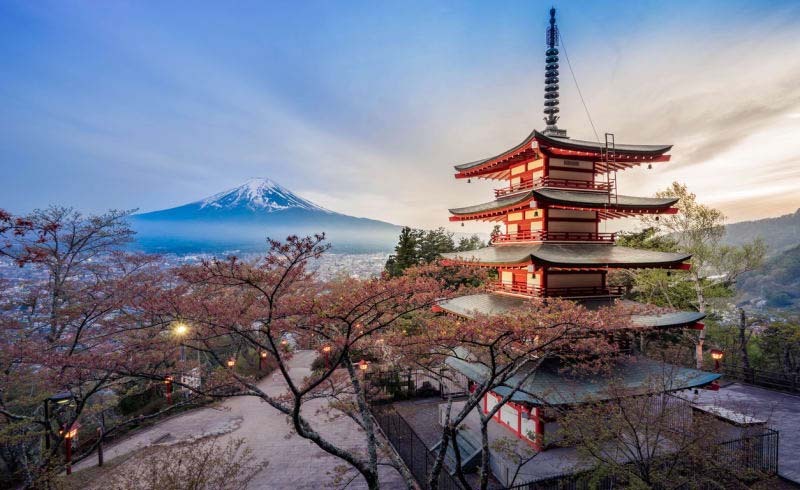 But there’s more to Japan than just Tokyo and Kyoto, its two most popular tourist destinations, and the country’s efficient rail system allows for easy travel from north to south and back. When planning a journey through Japan, especially when timed to the spring cherry blossoms, which appear in March and April, consider looking into some other spots. Whether it’s a bustling city like Osaka or a reflective island like Naoshima, Japan has some amazing places you may not have thought of yet. First-time visitors to Japan often skip Osaka in favor of more time in Kyoto, but it’s worth dedicating at least two nights to this vibrant city. It’s best known for its street food, which can be found in Dotonbori—look for takoyaki (doughy octopus balls) and okonomiyaki (savory pancakes). Don’t be afraid to venture into the smallest, dankest yakitori restaurant for a meal simply because that’s where the best experiences are to be had. Splurge on a room at the Conrad Osaka, which boasts amazing views over the city as well as a sumptuous spa and a teppanyaki restaurant that will blow your mind. Don’t forget to visit Osaka Castle and Shitennoji, Japan’s first Buddhist temple. The main reason to venture to Nara, a short train ride from Osaka or Kyoto, is for the deer. 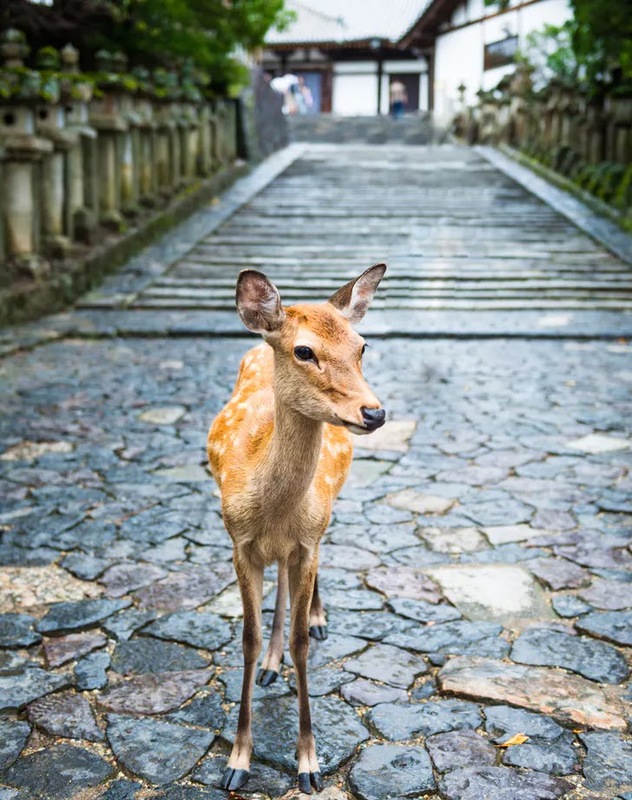 The massive Nara Park is home to over 1,000 friendly deer, which roam freely through the city and which will bow—yes, bow—to beg a treat from your hand. It’s a miraculous experience for animal lovers, but Nara itself is also worth seeing. There are several historic temples and shrines spread throughout Nara, the country’s first capital city, as well as a world-famous shop called Nakatanidou that makes traditional hand-pounded mochi. Stay at the Nara Hotel, and ask for a room that overlooks the park. The island of Naoshima, located in the Seto Inland Sea and accessible via ferry, is a magical place. Known as the “art island,” visitors will discover museums, installations and sculptures around every turn, especially if you book into the chic Benesse House, which is equal parts hotel and contemporary art museum. There are two villages on the island, both of which offer hole-in-the-wall eateries (look for the family-owned ramen joint that’s like the Japanese answer to a diner) and quaint shops. The sea views are everywhere, adding to the relaxing vibe. After you leave the island, stop by the UPINN café at the Uno Port Inn for some of the best bagels you’ll ever eat—seriously. 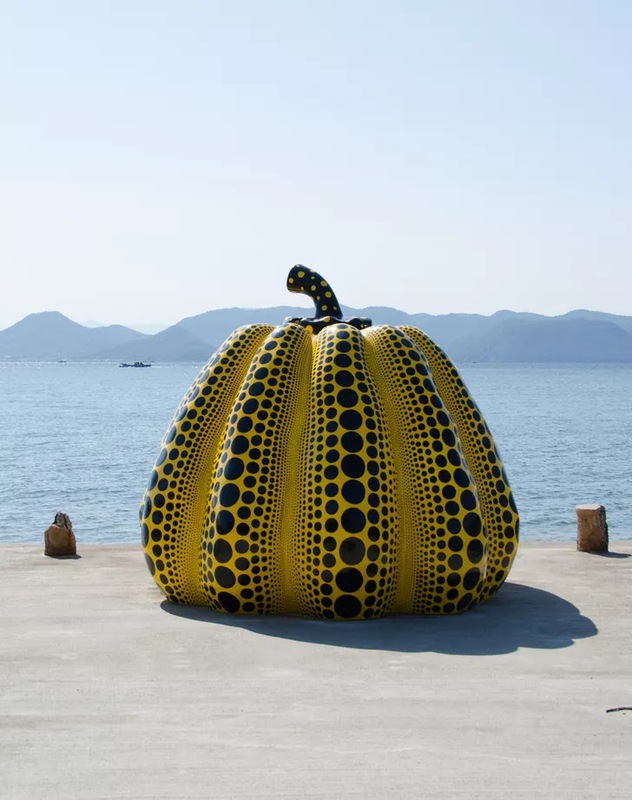 Bonus: 2019 is the Setouchi Triennale, which takes place on Naoshima, among other nearby islands. In Japan’s sweeping, green mountains, Takayama can be found in the Gifu Prefecture. 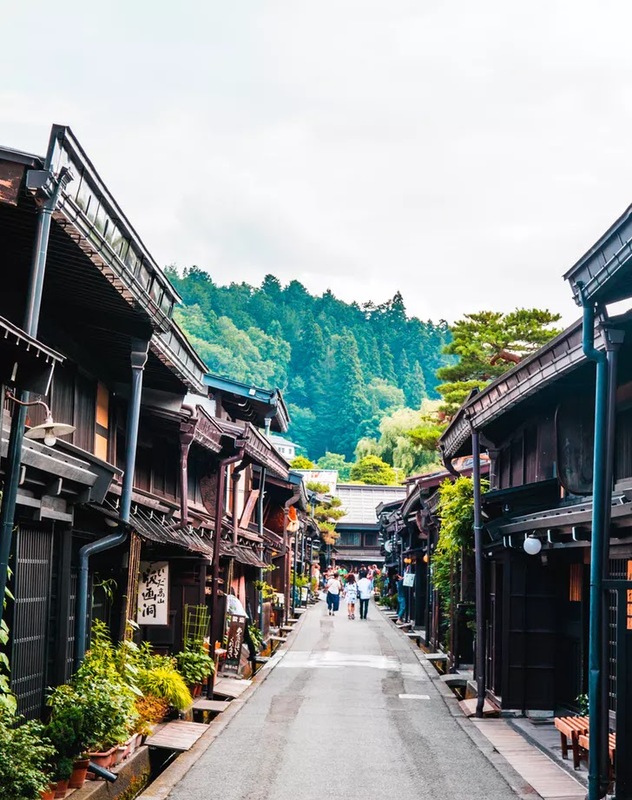 The city is steeped in history, with narrow streets lined with houses that date back to the Edo Period, giving it a sense of tradition. It’s home to the Takayama Festival, which takes place in the spring and fall. Stroll through the Sanmachi Suji District, the city’s picturesque old town filled with shops and restaurants. Nearby, the village of Hida no Sato showcases a spread of traditional thatched roof houses that are open to the public. Experience an authentic Japanese ryokan at Honjin Hiranoya Kachoan, located adjacent to the old town with views of the city and surrounding landscape. Opt for a Japanese-style room for the total vibe. 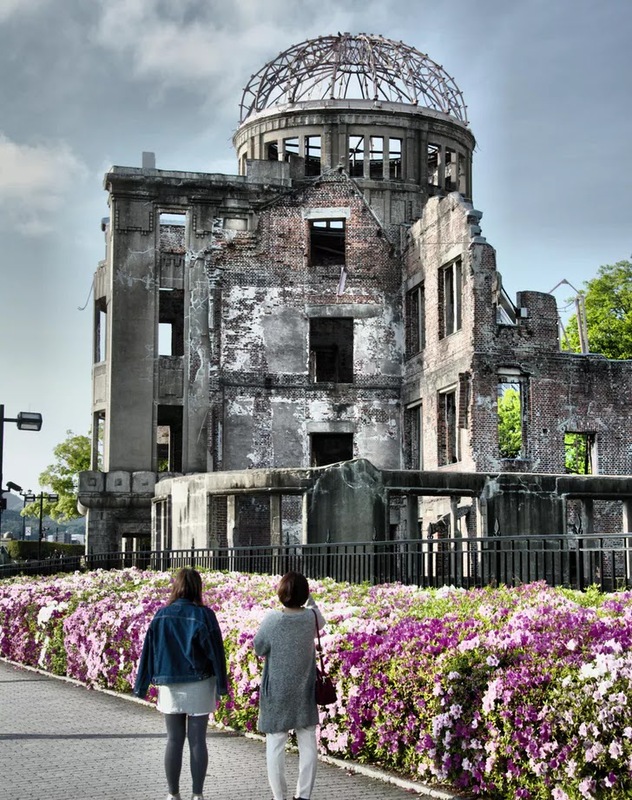 Hiroshima is best known for the Hiroshima Peace Memorial Park that commemorates the bombing in World War II, but the city offers a vibrant array of experiences for any type of traveler. The port city has tons to do and see, from the iconic Itsukushima Shrine to the historic Shukkeien garden to the History and Folklore Museum. It’s a popular destination for cherry blossoms in the spring, but the nearby ski resorts are a good reason to book a trip during the colder months. There are plenty of hotels to pick from, but book a room in the high-rise RIHGA Royal Hotel Hiroshima, which is located next to the Hiroshima Museum of Art. Grab a bite to eat with locals on the restaurant floor of Hiroshima Station (look for one of the spots selling okonomiyaki—savory pancakes), or head to Ekohiiki to dine on the famed Hiroshima oysters. Nestled along the Seto Inland Sea near Okayama, Kurashiki is home to the Ohara Museum of Art and the Bikan Historical Quarter, a preserved collection of traditional shops and houses along an insanely scenic canal. 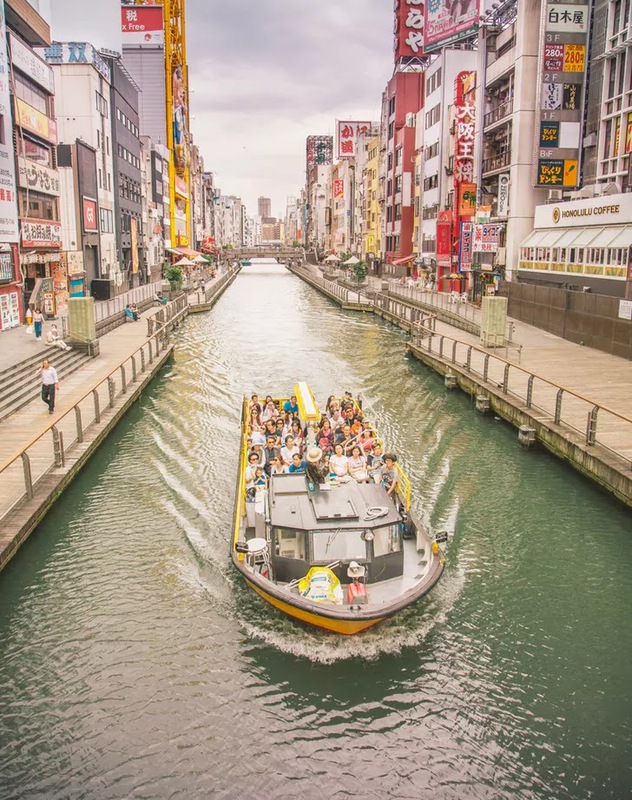 It’s much slower paced than Tokyo or Kyoto, making it ideal for strolling, relaxing and experiencing Japanese culture with fewer tourists around. 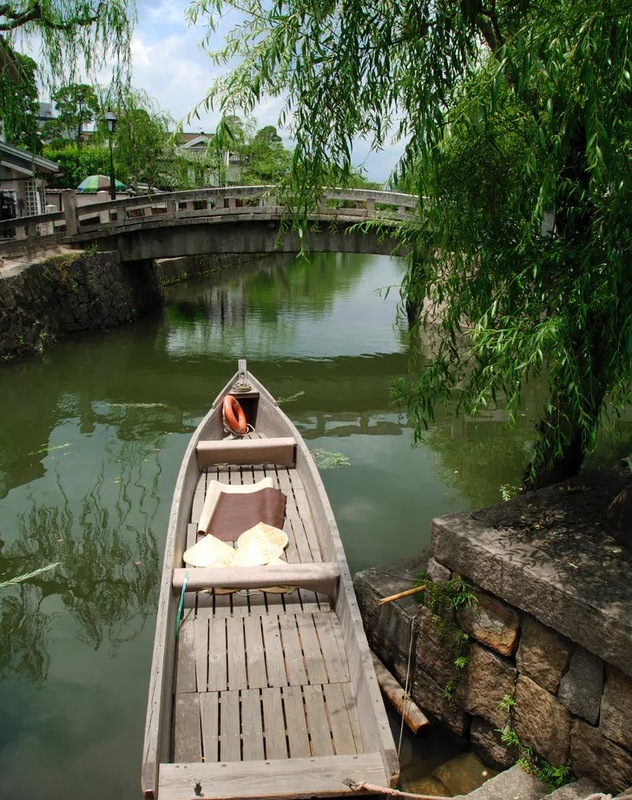 This would be a good time to book a ryokan, and the intimate Ryokan Kurashiki, which overlooks the canal, is a solid bet for a luxury stay with both traditional and modern touches. Explore the local eateries, which include hip coffee shop Scarecrow and noodle shop Furuichi Nakaten, before settling in for a kaiseki dinner at Somigyosai Iwakura, where you’ll taste the best of the local fish. 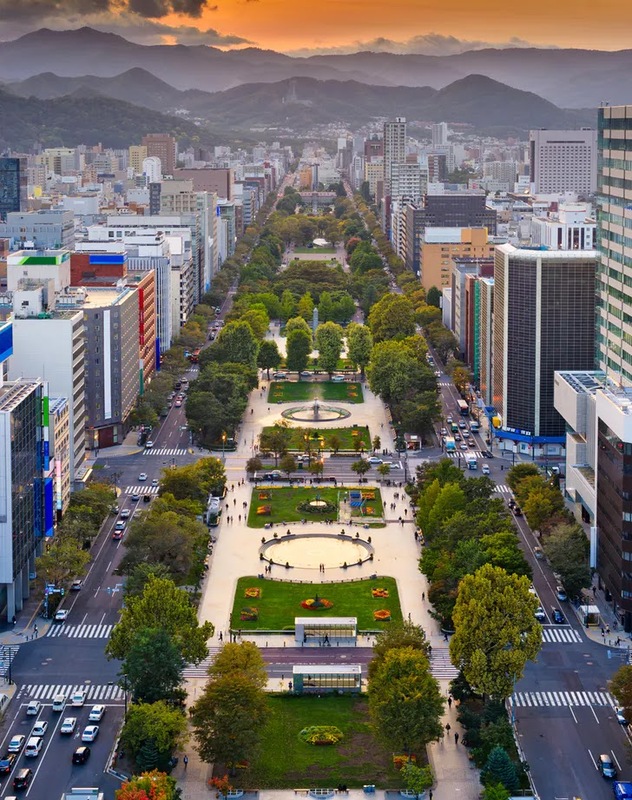 Sapporo is the capital of the island of Hokkaido, a mountainous spot in the far north of Japan. 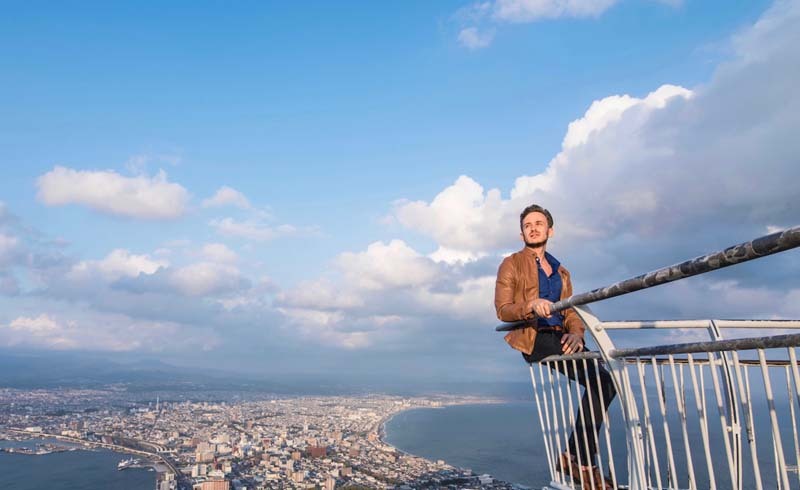 It’s obviously famous for beer, but the city, which hosted the 1972 Winter Olympics, has tons of skiing and is host to the annual Sapporo Snow Festival. It’s also renowned for its unique style of ramen, which can be found at dozens of delicious restaurants around town. Line up at Ramen Shingen for the popular miso-based ramen. Visit the Sapporo Beer Museum or Nijo Market, and look for the blooming cherry trees in Maruyama Park when traveling in the springtime. The central and chic Cross Hotel Sapporo is a good base for exploring the city, while the more traditional Century Royal Hotel is all about luxury (and views). 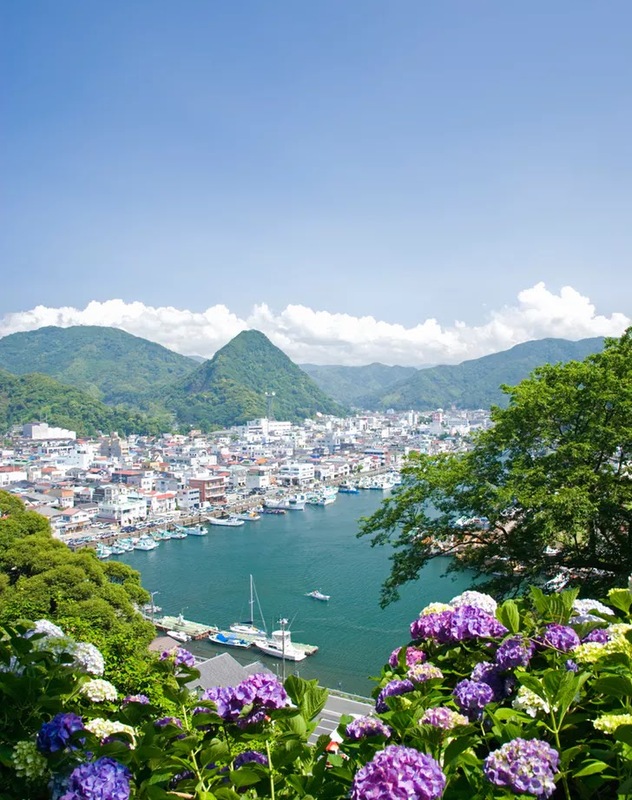 Beach lovers should include Shimoda on their itinerary of Japan. The southern port city is known for several stretches of sand, including Shirahama Beach and Tatadohama Beach, as well as the Shimoda Floating Aquarium. Be sure to visit Nesugatayama-sancho Park, where you can ascend to the peak-side gardens via the Shimoda Ropeway (or stairs, if you’re feeling strong). Shimoda is a great place to splurge on a seaside resort hotel like the Shimoda Prince Hotel or the Kurofune Hotel, which has its own onsen hot springs. Obviously you’re also here for the fresh seafood, which can be found basically anywhere in town. Try the sushi at Sakana Donya or grilled fish dishes at Ebiman, and be sure to swing by one of the surfer-friendly beach cafés dotted along the shore.